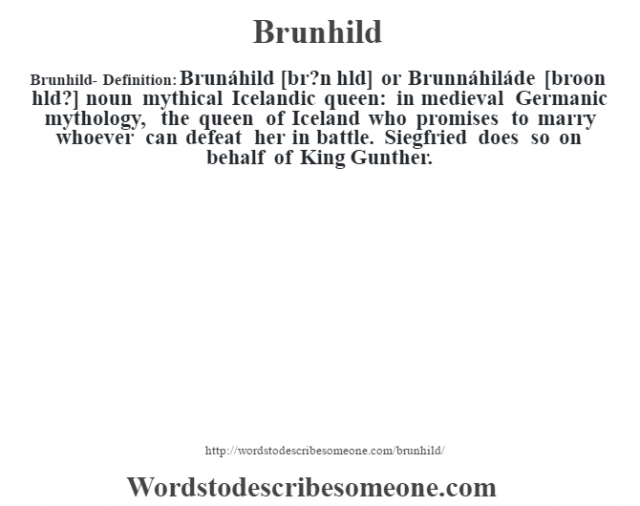 Brunhild- Definition:Brunáhild [br?n hld] or Brunnáhiláde [broon hld?] noun mythical Icelandic queen: in medieval Germanic mythology, the queen of Iceland who promises to marry whoever can defeat her in battle. Siegfried does so on behalf of King Gunther.